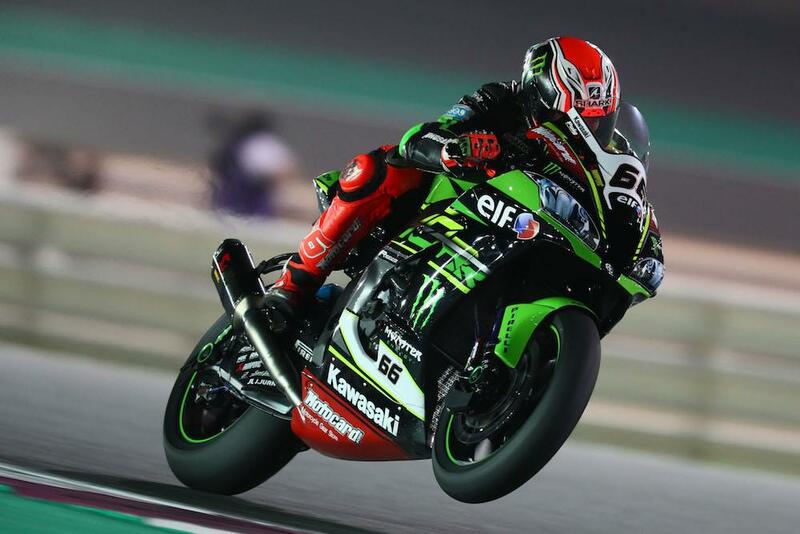 Tom Sykes will start on pole position for the first of his final two races for Kawasaki after beating team-mate Jonathan Rea to the top spot in qualifying in Qatar. The Yorkshireman set a new pole position record for the circuit with a time of 1’56.124 to beat world champion Rea by 0.131 seconds in the dying moments of the second Superpole session. Alex Lowes’ continued his strong weekend form to complete the front row for PATA Yamaha, knocking Friday’s quickest man Eugene Laverty down to fourth at the head of row two. 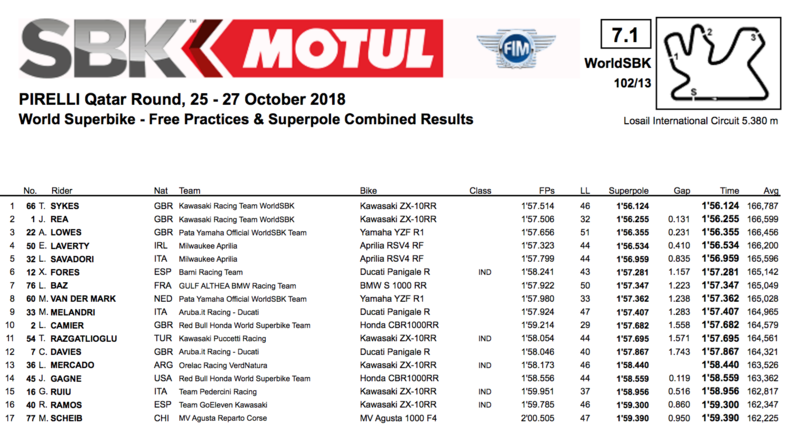 The second Milwaukee Aprilia of Lorenzo Savadori will start fifth ahead of the quickest Ducati of Xavi Fores, who had to fight through to SP2 after a poor start on Friday. Loris Baz heads up row three in seventh ahead of the second Yamaha of Michael van der Mark. The factory Aruba Ducati squad endured a tough qualifying session with Marco Melandri ninth and Chaz Davies 12th, almost two seconds off the pace of the Kawasaki at the front. Leon Camier rounds out the top ten for Red Bull Honda after progressing through SP1. The penultimate race of the year kicks off at 17:00 BST.